Whether you want someone to represent you in a court of law or to stand in as a witness or other legal representation for you during a business deal, people almost always often run to a lawyer. 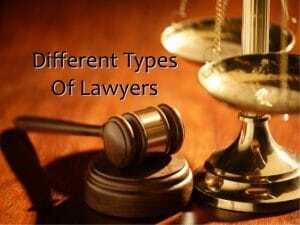 However, people often neglect the fact that there are several kinds of lawyers with different specialties. In this article we will specifically be focusing on business law. This area of law specifically puts into focus all the regulations which govern business and commerce. These include how to start, manage, sell, close and even purchase of a business. Generally, it sets the basis upon which any business activity should be conducted. However, business law is just as broad as there are as many different types of businesses in as many industries, and consequently, the vastness of the knowledge and skill-sets that business lawyers are likely to have. It is exactly for this reason that this article starts the conversation by focusing, broadly speaking, on the two different types of business lawyers that exist, to help you understand better how they work and what they deal with in each sector. Advising on company formation structure and helping with the process. Helping to deal with all legal issues related to your business, but that does not include going to court. Employee and labor related issues. Business mergers, acquisitions and sale of company. Including winding down of the company in a bankruptcy. Helping you deal and manage all regulatory affairs related to government, such as licensing, zoning laws and more. As can be noticed from the above, the main role a transactional lawyer seems to revolve around dealing with the operational activities of a company or business. Whenever anyone starts a business, the main aim is to attract and retain clients. In doing so, it is also inevitable that they will often need to enter into business relationships with external parties. This will often include the signing of various documents, or contracts, that represent and govern that relationship and how it should play out. It is exactly for this reason that a business attorney is needed. To scrutinize that document before you sign it, to ensure that it is in your best interest to sign. A Contract attorney, or business contract lawyer has complete knowledge of the regulations in regards to contracts and business relationships. They are therefore able to quickly spot something that is not right, not in your best interest, or perhaps even in outright violation of a law. Transactional lawyers come in several different shapes and sizes, ranging from an in-house counsel, who is often described as a corporate lawyer and is usually or sometimes an employee of the business, to an external lawyer, who is only called up and represents the business as needed. The sad reality is that the vast majority of business owners, especially small business owners, never see the need for a business lawyer up until the time when they are facing a lawsuit or have received a subpoena to appear in court for some reason or the other. After which they begin to panic and run around to find a lawyer that can help. On the flip side of a transactional lawyer, is a litigation lawyer. It should however be stated off the bat that oftentimes, one lawyer is both a transactional and litigation lawyer at the same time, while you will often find lawyers who prefer to focus on transactions or litigation exclusively. As the name implies, a litigator is a lawyer who will represent your interests in a court of law, often within the context of a litigation or the process leading up to litigation -mediation, whether you are the one who is instigating a lawsuit against another party, or you are conversely facing a lawsuit. One reason some lawyers prefer to deal with litigation exclusively can perhaps be seen in the fact of how expensive and time consuming a litigation case can often be. Before a case gets to court, sometimes it goes through several stages, starting from a negotiation stage, possibly through an arbitration and/or mediation stage before it gets to the litigation stage proper. This litigation stage in and of itself, has its own five distinct stages. When all is said and done, it is easy to see how much of a lawyer’s time is taken up by a litigation case. When it so happens that a law firm is not a very large one with an army of lawyers, paralegals and other support staff that can handle non-litigation cases, it is easy to see how such a smaller law firm would rather focus on litigation exclusively, more so considering that it is likely to be a bulk of their income. What Does a Business Achieve Through Incorporation? How Different Types Of Debt Are Treated In Bankruptcy? Small Business Attorney NYC is a law firm of attorneys who are able to help you with any manner of legal issues you may related to your small business.